Delirium fans, we have been asked by our friends in Freak Motif to join in a pre Juno winter parade. 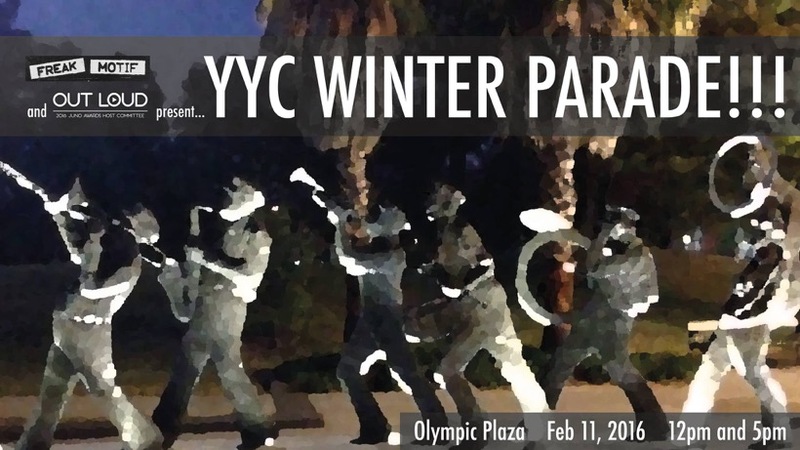 It’s this Thursday, Feb 11, starting at Olympic Plaza. Noon and 5PM. Watch the Facebook Event Page for updates. Delirium songs at noon or 5pm or (probably) both, watch twitter for details. Starting and ending at Olympic Plaza. If you don't find us, follow the noise... Join us, bring your drum, bring your art, wear a costume, come create something weird. Email frkmtf@gmail.com for more info.